Our next meeting is September 25. Our next sew-in is September 8. 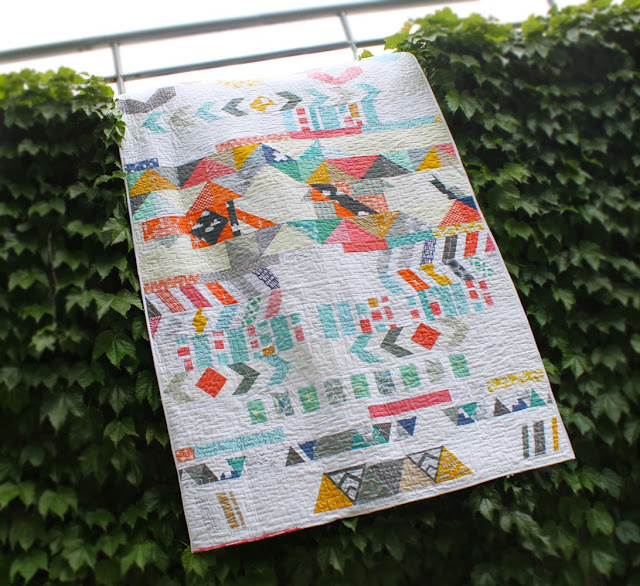 Next Month's Swap is the Super Stalker Mini Quilts. More details here and also below in the minutes. - Spoonflower quilts update: Both quilts Sold! We raised $517 for the Habitat for Humanity of Huron Valley! 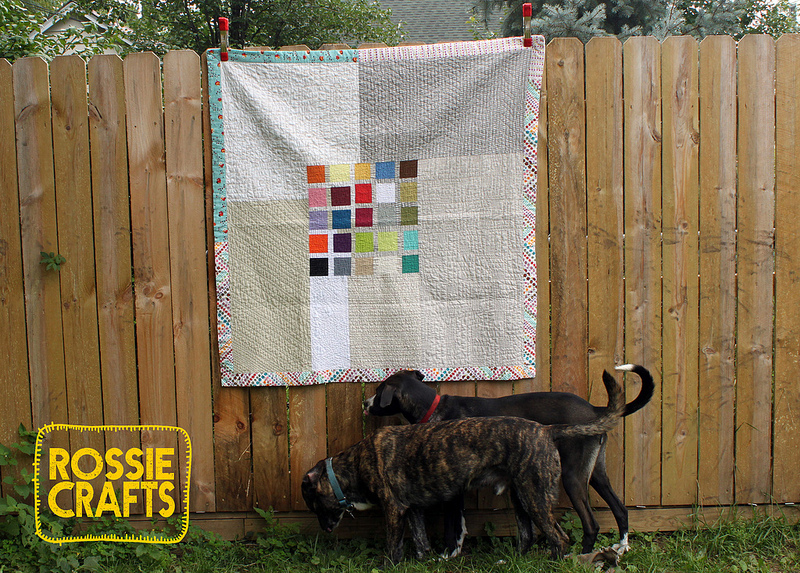 Riley Blake basics modern quilt guild challenge! 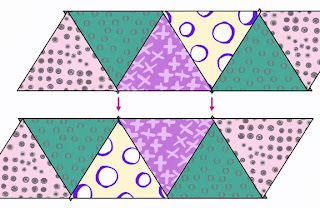 Any quilted thing can enter (a quilt, a bag) using Riley Blake fabrics (those who choose to participate will, receive free fabrics from the Modern Quilt Guild) and solids. At our next meeting we will decide if we want to have a guild specific challenge, perhaps with prizes. Cost: $20 includes lunch (pizza and salad); dinner is on your own. Member Spotlight - Rossie! Visit her blog HERE. - Next meeting: Rossie will interview Laura! Skill School - Jenna’s Trapezoid Tutorial. Find the tutorial on her blog HERE. At our next meeting we will learn the Six minute circle technique from Mary. Swaps: We had a Fat Quarter swap. Next month's swap is the Super Stalker Mini Quilts. More details Here. Those who wish to participate randomly drew a name from a hat and will search the Internet, or go from the notes provided for inspiration. Make a mini quilt that is less than 24" on each side, finished, for the September meeting for the guild member you are stalking. 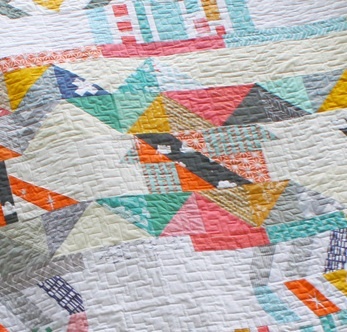 Amy has changed her blog to www.blotchandthrum.com and has a nice tutorial up about making a triangles quilt! 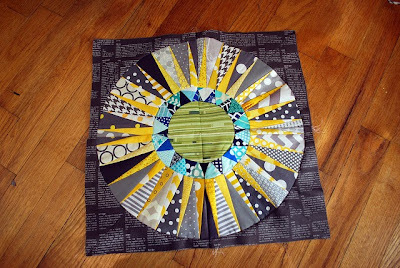 Check out Sarah's awesome paper piecing project! 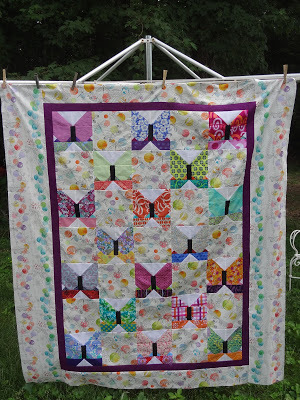 Pam shares this lovely butterfly quilt that she made with friends. There's another post about the finished quilt here. 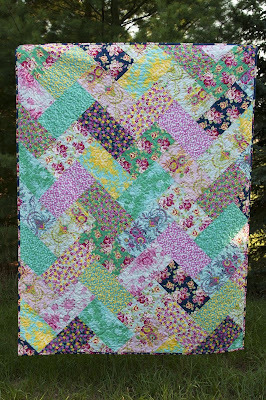 Look at Lynn's stunning commission quilt for Jennifer Paganelli called "Lucky Girl"! 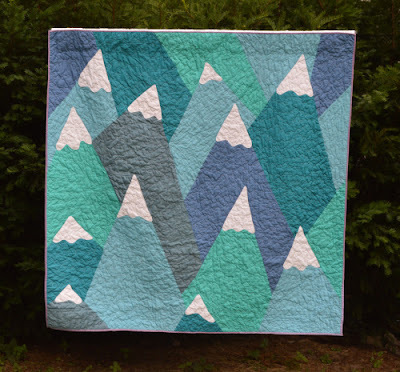 I really adore this post from Dorie doing an Appliqué Methods Test - must read if you're looking to dive into the world of appliqué. Okay - I've survived the Summer and am ready to get back to normal levels of business! How about you? There will be a meeting of the A2MQG on Wednesday, Aug 28 at 6:30pm at Pink Castle Fabrics. Please use the "Special Events" form on the Pink Castle Website to RSVP - this helps the store know how many chairs are needed. 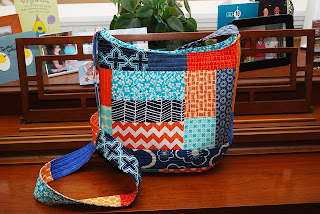 Random FQ Swap: Bring in 2 fat quarters, go home with two different fat quarters. We’ll pile them in the center and go around the circle to choose. First round clockwise, second round counterclockwise. 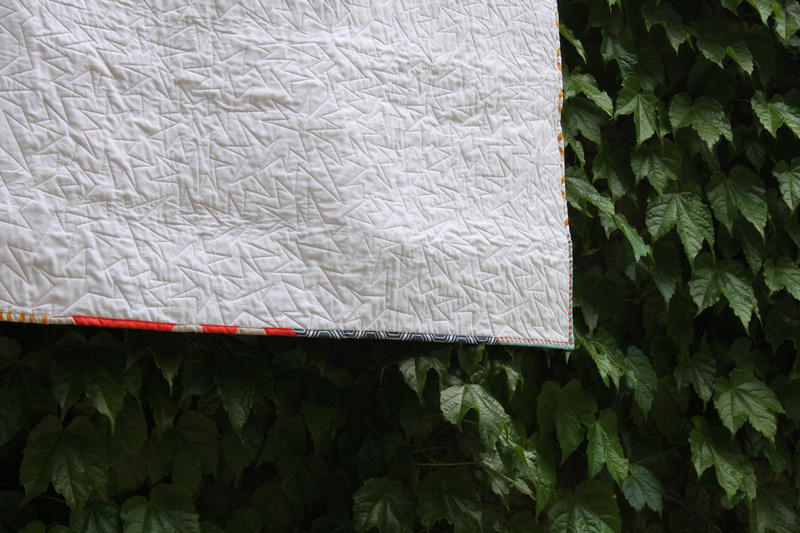 Make sure the FQs are quilt shop quality modern fabric. 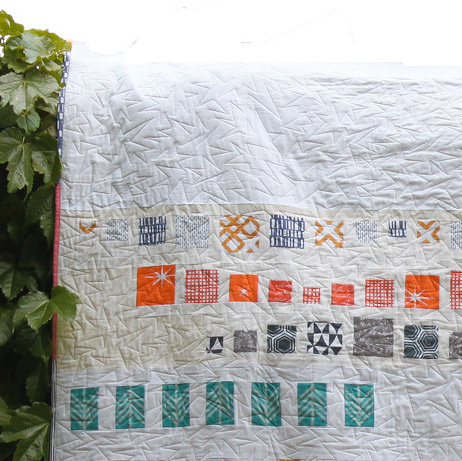 FOR SEPTEMBER, we are doing the Secret Stalker Mini Quilt. If you CANNOT attend the August meeting but would like to participate in this swap for September, please let Dorie know via email (tumblingblocks AT gmail.com). You have to be able to attend the September meeting in order to participate. Secret Stalker Mini Quilt: You are assigned a guild member to secretly make a mini quilt for. You may need to stalk them online to find out what they love. Identities will be revealed and gifts given at the September meeting. If you are participating in the Round Robin, please bring your projects. Any concerns about the Round Robin can be emailed to Dorie. 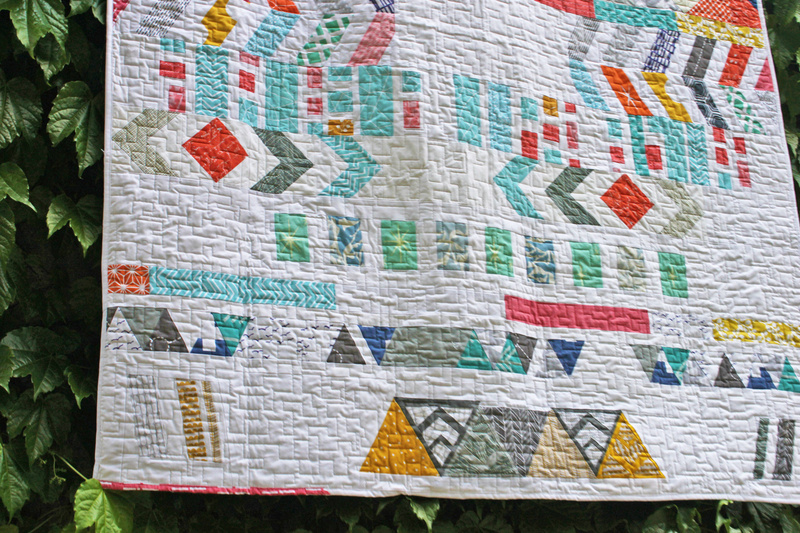 Amy finished her Lotta Jansdotter quilt - love those colors! Debbie has been busy as always! Did you guys catch this log cabin project she finished a couple of weeks ago? And she's been productive at the Great Ann Arbor Quilt Guild's Quilting Unlimited workshop! 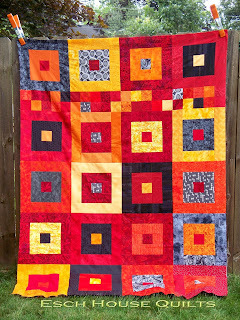 She taught her bias-tape applique technique, and also took a class on abstract mini quilts (using fusible interfacing). So cool! Rossie has posted a book review of "Geared for Guys." A really cool conversation is ignited regarding gender roles and continued in the comments - go check it out. Welcome to our new member Sarah! She blogs at hiptopiecesquares.com (LURVE that name!) and makes all sorts of fabulous things, including this amazing quilted bag! Look at this lovely Swoon quilt Pam finished for her nephew! It's beautiful! 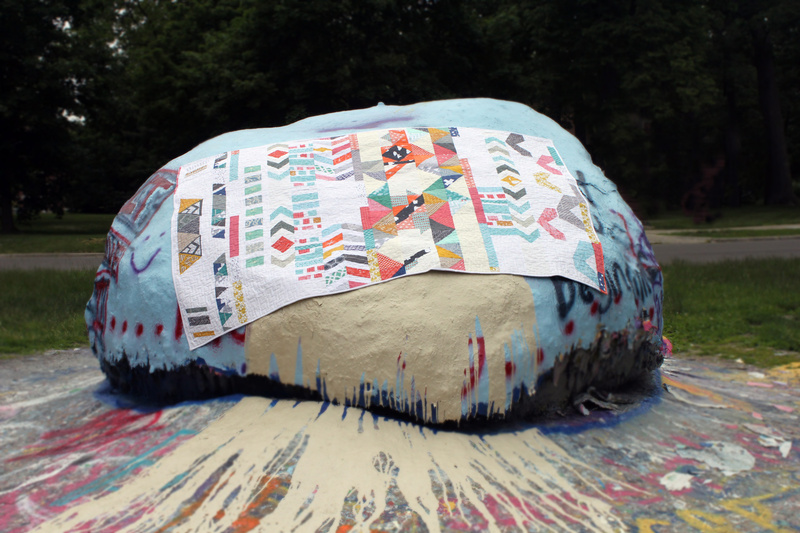 Ronit made this vibrant blanket using her own experimental process! And have you guys seen that Kathy's updated her site for her long-arm business? Check it out - you can now use Pink CAstle Fabrics as a place to drop-off and pick-up your projects for quilting! 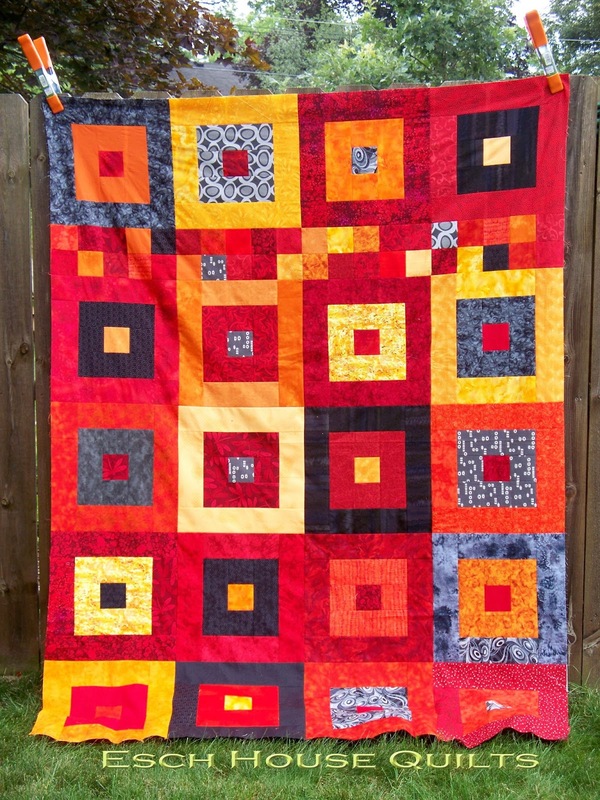 I am so happy to announce that the eBay quilt auction is over and was a great success! That's $517 for the Habitat for Humanity of Huron Valley! How exciting! 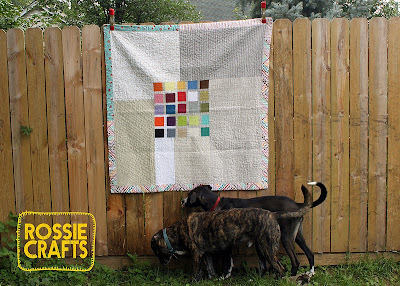 Thanks to everyone who worked on these quilts, especially Jennifer B. for organizing the original project with Spoonflower, Kathy for the quilting, and Rossie and Debbie for the photography! There will be a sew-in on Sunday from 12 - 4pm if there is enough interest. If you would like to attend, please notify Pink Castle Fabrics by booking your space HERE ASAP..
For the next meeting (Wed Aug 28th at 6:30pm) the Swap will be: Random Fat Quarter Swap: Bring in 2 fat quarters, go home with two different fat quarters. We’ll pile them in the center and go around the circle to choose. First round clockwise, second round counterclockwise. 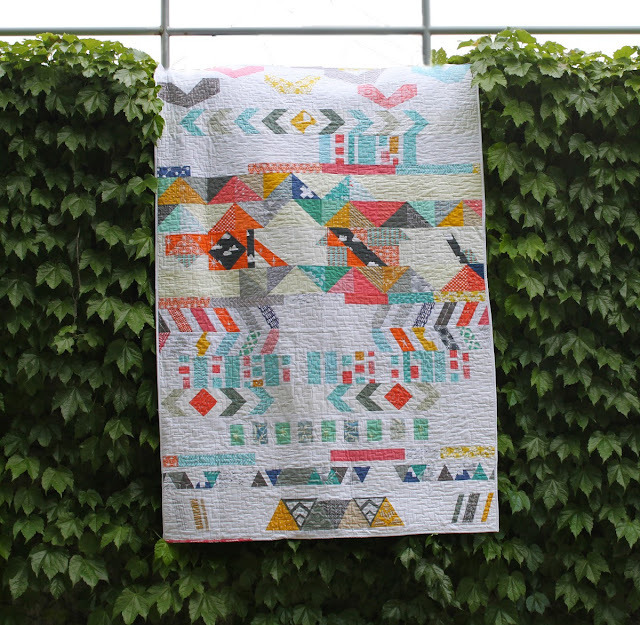 Make sure the FQs are quilt shop quality modern fabric. - We welcomed many new members and visitors! - Membership in National Guild: We are in progress. Dorie is next month's Spotlit Member. 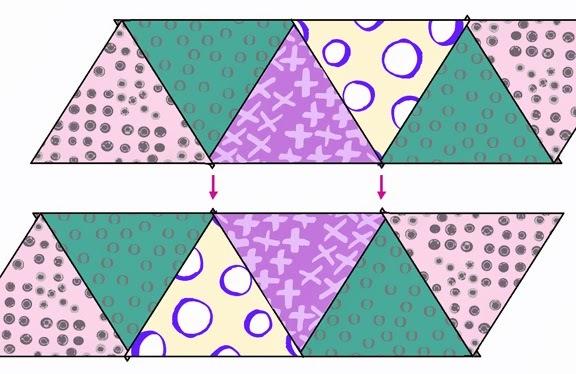 Next month Jenna will attempt to teach her super special Trapezoid piecing method. This month's "swap" was a X and + Block Lottery. Debbie won! 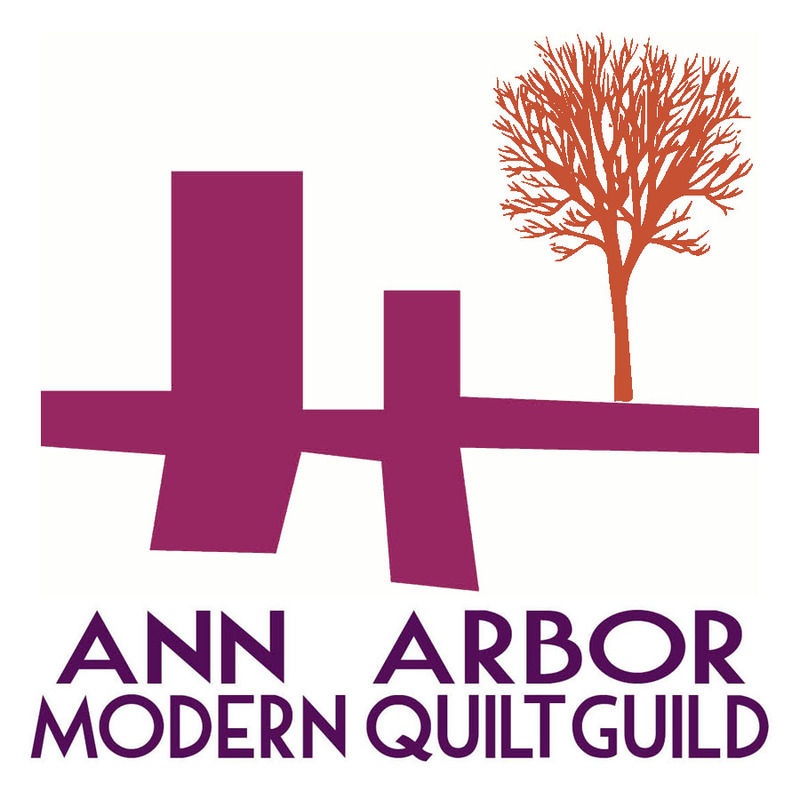 The Ann Arbor Modern Quilt Guild is proud to have charitable giving as one of the core principals of our organization. 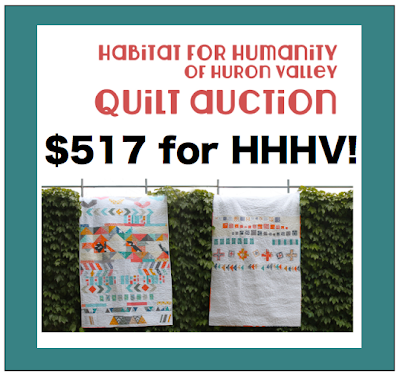 Through the eBay Giving Works program, we are thrilled to announce the auction of these two beautiful, vibrant, modern twin-sized quilts with 100% of earnings going to the Habitat for Humanity of Huron Valley. The auction is August 4 - 11th. 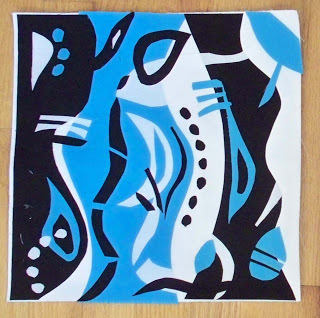 Spoonflower, Inc was kind enough to donate a considerable amount of bright, lively fabrics designed by independent textile artists. 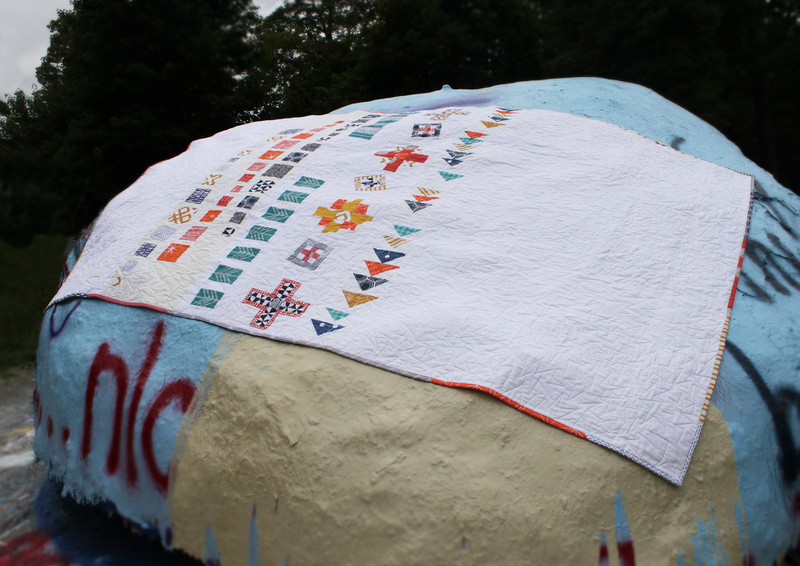 Our guild members incorporated these fabrics with other solids donated from Pink Castle Fabrics to create these stunning blankets. 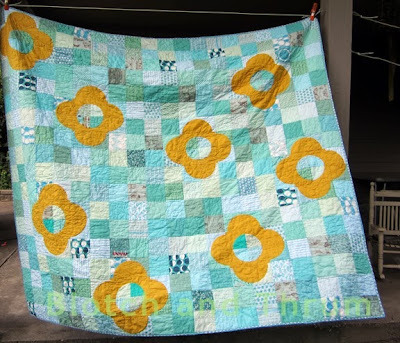 Below is a picture of Quilt A - it measures approximately 58" x 88" (large enough for a twin bed). Contributors to the piecing of this quilt include multiple nationally recognized quilters. 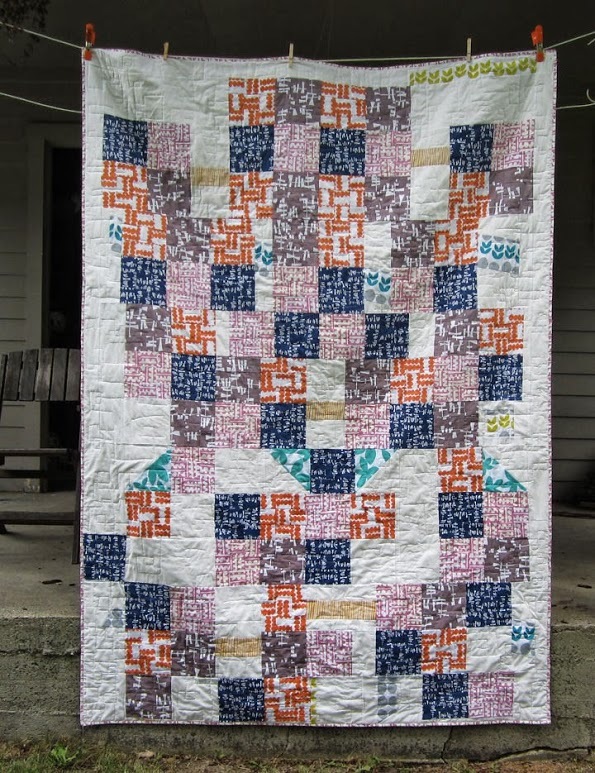 Members of our guild have been published in many quilting magazines including Generation Q, have had quilts showcased at national shows including Quiltcon and the International Quilt Festival, have been on television programs such as Quilting Arts TV, and teach sewing classes all around the country. We chose Habitat for Humanity of Huron Valley as the organization to receive our earnings because we love seeing the incredible dedication this group has for Washtenaw County. The HHHV works tirelessly to provide families with affordable, beautiful homes in our community. Many of our members have seen the difference the HHHV has made in their own neighborhoods, transforming and renovating homes in need of care and pairing them with deserving families. Habitat for Humanity of Huron Valley is a 501(c)(3) nonprofit organization in Washtenaw County, Michigan and and is an affiliate of Habitat for Humanity International (HFHI). 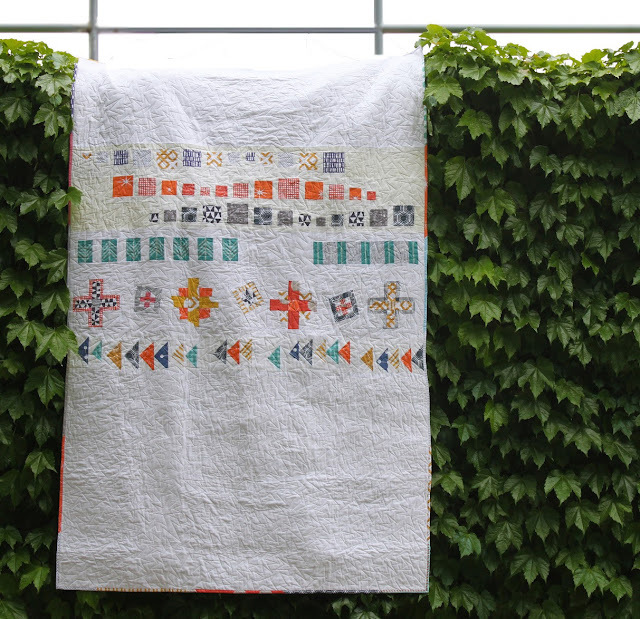 Sewists who worked on the piecing of this quilt include: Dorie Schwarz, Jenna Brand, Amy Stevenson, Kathy Koch, Rossie Hutchinson, Debbie Grifka, Jennifer Bernstein, Ginia Forrester, Amy Dietrich, Emily Shildhouse, Brenda Ratliff, Courtney Meszaros, and Ashley Day. 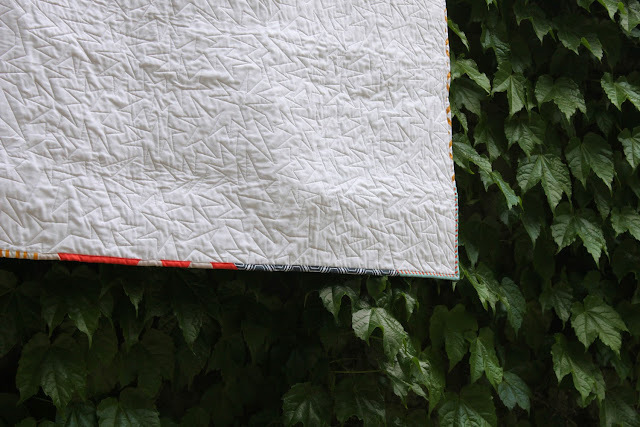 Below is a picture of Quilt B - it measures approximately 58" x 91" (large enough for a twin bed). 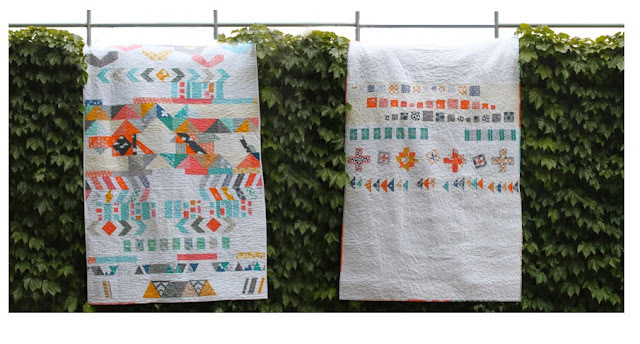 Kathy Koch of Threadbear quilting performed the gorgeous, unique long-arm quilting on both of these blankets. Kathy is a professional quilter who uses a Gammil machine with a state-of-the-art computerized Statler Stitcher. Thank you for supporting the Habitat for Humanity of Huron Valley, and emotionally supporting our guild as we strive to use our skills to help our community. Please click on the link below to pay your annual membership dues by PayPal. Cost is $42 per year. New or renewing members should also fill out the membership form in the box below. We meet the last Wednesday of the month (except when it conflicts with holidays (e.g., Halloween, Christmas)) at N.E.W. Center, 1100 N. Main St., Ann Arbor. Grow a Garden (pouch) giveaway winner! Copyright 2017-18. Awesome Inc. theme. Powered by Blogger.